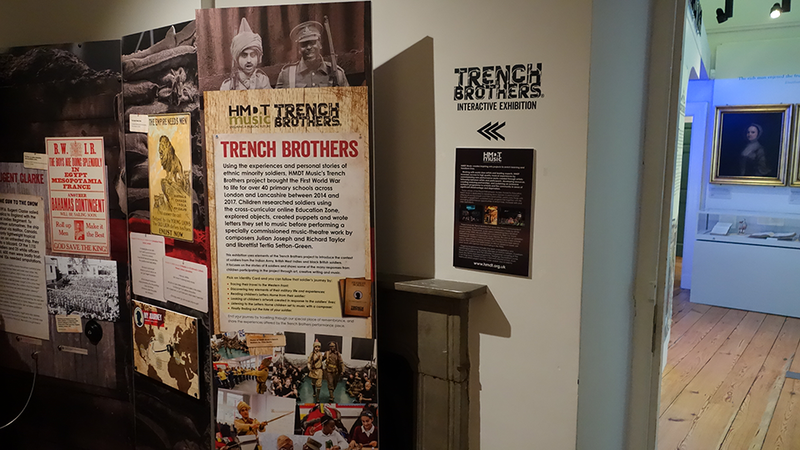 The touring Trench Brothers Exhibition has enjoyed a fantastic stay at the Lancaster Maritime Museum and Fylde Gallery and is currently on display at Clitheroe Castle, alongside a programme of family events. Very interesting exhibition which I didn’t know anything about. Very factual and entertaining. Lovely work by the children. 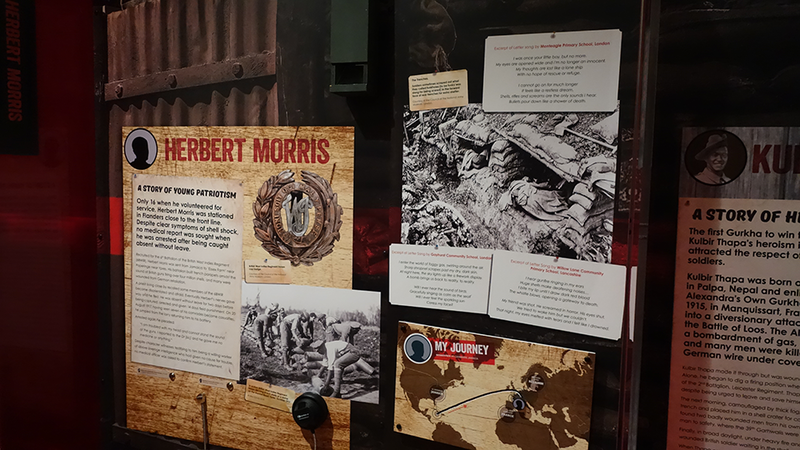 It uses elements of the Trench Brothers project to introduce the context of soldiers from the Indian Army, British West Indies and black British soldiers. 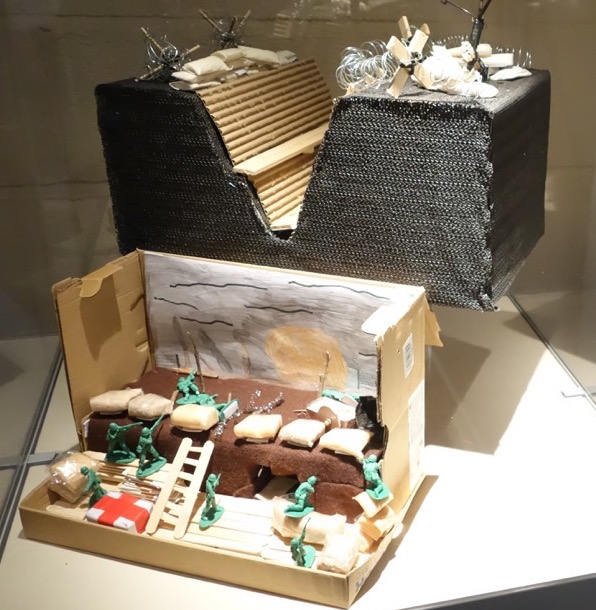 It focuses on stories of eight soldiers and shows some of the many responses from children participating in the project through art, creative writing and music. A moving exhibition. Well done. 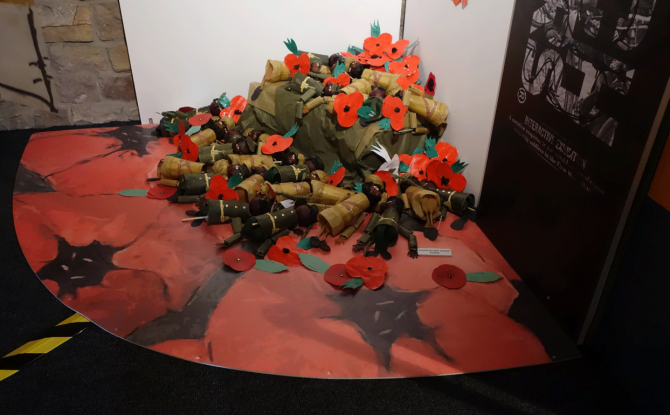 On Remembrance Day itself, over fifty participants took part in a creative exercise where they constructed their own model Sopwith Camels to commemorate the life of Hardit Singh Malik, whose story is told in the exhibition. Thank you for this exhibition. My grandfather died at the Neue Chappelle battle, and my great-uncle was shot at dawn, as a deserter. He was 19 and obviously suffering from shell-shock! The Exhibition will be shown at Newhaven Fort from August 2018. A large-scale commemorative performance of the Trench Brothers music theatre work will take place at Brighton Dome on 17 October 2018.